Often found in uncultivated fields. Has an almost exotic appearance even if it's only a legume. I love the English vernacular name: "Eggs and bacon", very picturesque ! Contains hydrocyanic acid, may be fatal from medium to high dose. 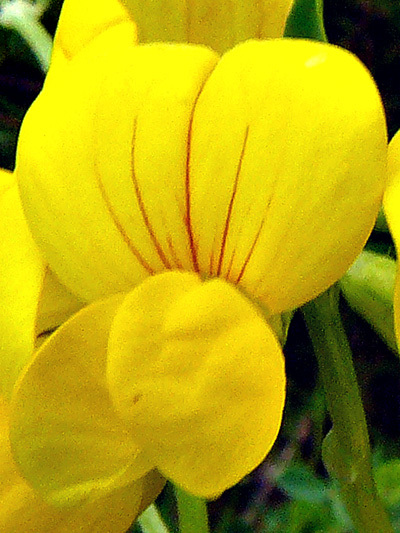 At low doses the Garden bird's-foot trefoil was prescribed as a tea, as a sedative and sleep aid.